Construction of the castle began in 1175. 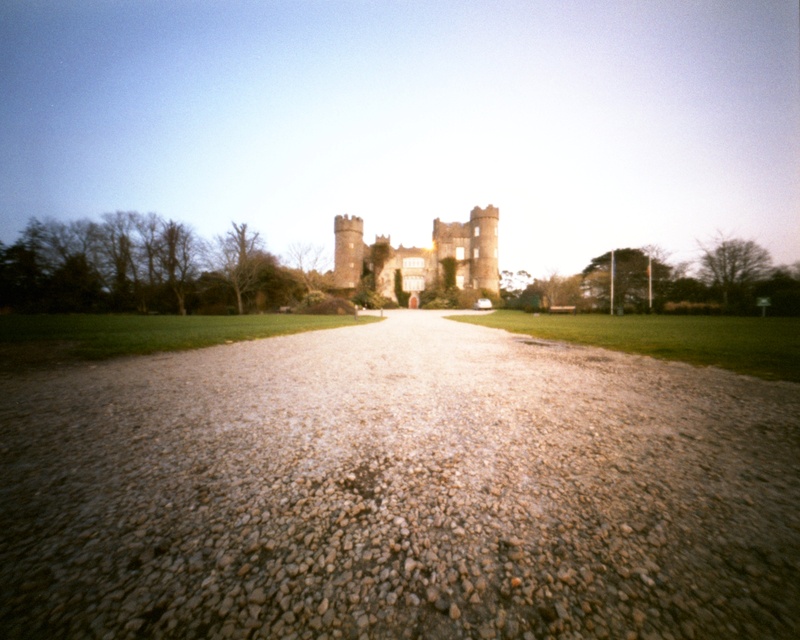 Richard Talbot was granted the “lands and harbour of Malahide” by Henry II the King of England, Lord of Ireland. Talbot was a knight that had travelled with the King during a visit to Ireland. The castle and lands stayed in the Talbot family for nearly 800 years the exception being for 10 years when Oliver Cromwell (Booooo!!!) gave it to his Chief Baron of the Irish Exchequer Miles Corbet. With the Restoration of Charles II in 1660 the castle once again retuned to the hands of the Talbots. If all these names are starting to make your head swim this is a deliberate effort on my part to make this blog post read like a chapter from the popular Game of Thrones. The Tablot family sold the castle and grounds to the Irish state in 1975 to help pay inheritance tax. The grounds and castle are open to the public and the insides recently restored to give an indication of how people used to live there. The grounds are wonderful and the Talbot botanic gardens are just behind the castle. They are a testament to the love of the 7th Lord Talbot de Malahide for plant collection. I will need to visit the grounds again for further pinholing as I have just read that the grounds are one of the few surviving examples of 18th century landscaped parks. 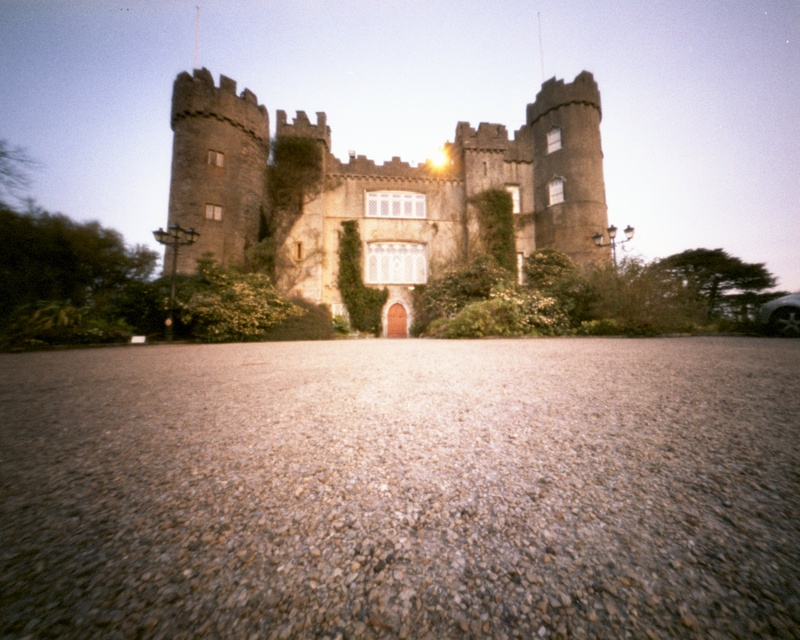 I had hoped that I could find some link between Malahide Castle Talbot family and the inventor of photography Henry Fox Talbot, but alas, the only link I could find was in my own brain and now this blog post. I am just stuck on the fact that you pass a freakin’ castle on your drive home from work. That is a really good idea! I’d certainly enjoy it as there are no castles at all in the PNW. Or anywhere else in America. Unless you count the Hearst Castle (which shouldn’t count at all). Clonskeagh Castle, Roebuck. 19th century, on site of earlier castle. Not really some of these are just ruins, some are shopping centres and some are even fancy hotels. I think this is one of the great things about this blog, it is making me look at lot closer at my local surroundings. I don’t even see the castles anymore I have looked at them my whole life.